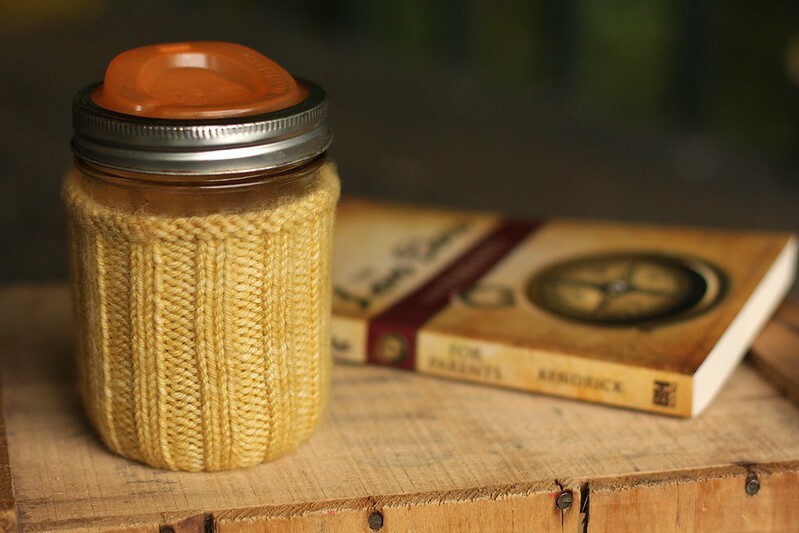 A couple of weeks ago I came across these adorable jar cozies made by Amanda. I was instantly inspired to make one for myself. 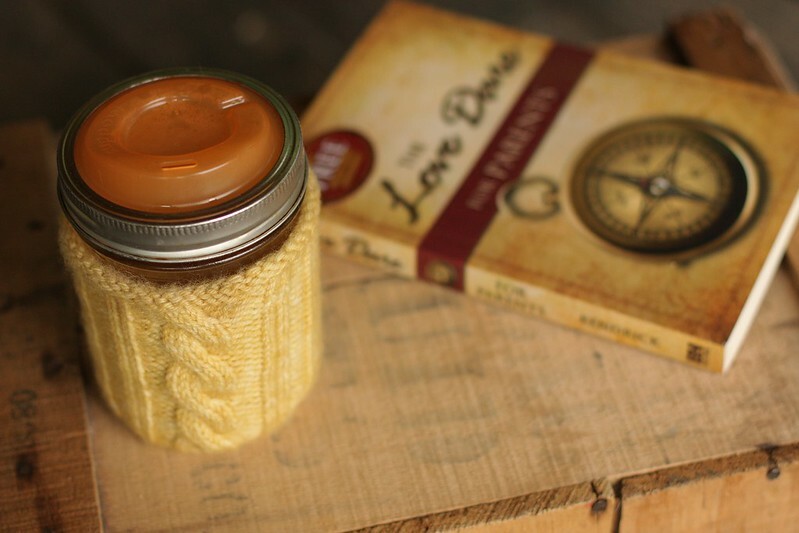 It was perfect timing, Kevin accidentally broke my knitting sheep mug awhile back and I have been using a canning jar with a cuppow lid since then. Thanks to this cozy, I don't have to worry about burning my fingers with my hot tea or coffee. 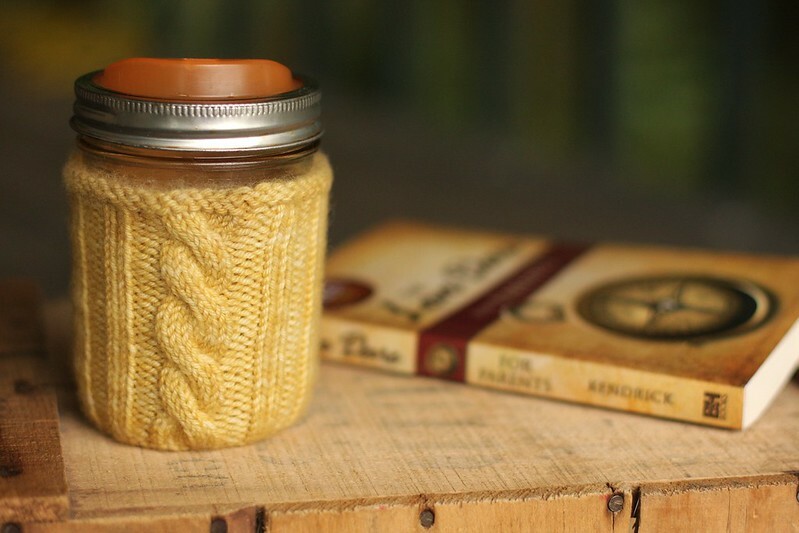 I used some leftover toshvintage in the winter wheat colorway (one of my favorites!) so it feels quite luxurious. As an added bonus, it's superwash wool so I can throw my cozy in the washer every couple of days (because I am just klutzy with my drinks and spill them quite often). I am quite pleased with my little cozy. I wonder if I can come up with any excuses to make some more? Thanks Amanda for sharing your pattern with all of us! Oops! Forgot to add the link to my cozy. Here ya go! p.s. - I hope to talk more about this book soon!